У статті досліджено стан інноваційного розвитку України на основі міжнародних інноваційних рейтингів. Встановлено, що на цьому етапі розвитку національної економіки питома вага інноваційно активних підприємств складає близько 18,4 %, з них найбільша кількість здійснювали технологічні інновації. Проаналізовано частку витрат на наукові дослідження у структурі ВВП країн світу та України зокрема. Виокремлено топ 20 інноваційних підприємств України. Розглянуто національний рейтинг інноваційної активності областей України, встановлено, що лідерами серед регіонів за показниками інноваційної діяльності є Харківська, Дніпропетровська, Запорізька області. Проаналізовано динаміку і структуру фінансування інноваційної діяльності за джерелами, представлено структуру інновацій, що впроваджувались аграрними підприємствами України та розроблено рекомендації щодо подальшого інноваційного розвитку. Ключові слова: інновації; розвиток; аграрний сектор економіки; інноваційна активність. 1. The Global Innovation Index 2015. Effective Innovation Policies for Development. — Soumitra Dutta, Bruno Lanvin, and Sacha Wunsch [Eds.]. — 47 р. 2. The Global Innovation Index 2016. Winning with Global Innovation. — Soumitra Dutta, Bruno Lanvin, and Sacha Wunsch Vincent [Eds.]. — 46 р. 3. The Global Innovation Index 2017. Innovation Feeding the World. — Soumitra Dutta, Bruno Lanvin, and Sacha Wunsch-Vincent [Eds.]. — 463 р. The article deals with the state of innovative development of Ukraine on the basis of international innovation ratings. It is established that at this stage of the national economy development, the share of innovative enterprises is about 18.4%, the largest number of which had practiced the technological innovations. The share of expenses for scientific researches in the GDP structure of many countries of the world and Ukraine in particular is analyzed. The top 20 innovative enterprises of Ukraine are selected. The national rating of innovation activity of Ukrainian regions is considered, and it is established that Kharkiv, Dnipropetrovsk and Zaporizhzhia regions are the innovation activity leaders among the other regions The dynamics and structure of innovation activity financing under the sources are analyzed, the structure of innovations introduced by agrarian enterprises of Ukraine is presented and the recommendations on further innovative development are prepared. Innovations are seen as newly created, or improved competitive technologies, products or services, as well as organizational, technical, industrial, commercial, or other ones, substantially improving the structure and quality of production or social sphere. It was found out that innovation activity is the most important means of ensuring economic growth, competitiveness and financial stability of any enterprise. The company can achieve high results only through the systematic analysis of changes in the market environment and the purposeful implementation of innovation activities, in order to realize new opportunities. Modern conditions of economic development require enterprises not only to intensify innovation but also to improve the methods of its organization, the right choice of strategy and priorities of innovation development, in particular, through the identification and use of resources aimed at increasing the efficiency of its implementation. This can be done through the economic analysis of innovation, which will enable managers to identify both the strengths and weaknesses of this activity, will allow to take rational management decisions and effectively manage not only innovation activity but the enterprise as a whole. Keywords: innovation; development; agricultural economic sector; innovative activity. 1. Dutta, S. Lanvin, B. and Wunsch, S. (2015), "The Global Innovation Index". Effective Innovation Policies for Development. 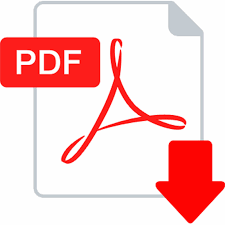 [Online], available at: https://www.wipo.int/edocs/pubdocs/en/wipo_pub_gii_2015-chapter1.pdf (Accessed 24 Feb. 2019). 2. Dutta, S. Lanvin, B. and Wunsch, S. (2016), "The Global Innovation Index". Effective Innovation Policies for Development. [Online], available at: www.wipo.int/edocs/pubdocs/en/wipo_pub_gii_2016-chapter1.pdf (Accessed 24 Feb. 2019). 3. Dutta, S. Lanvin, B. and Wunsch, S. (2017), "The Global Innovation Index". Effective Innovation Policies for Development. [Online], available at:https://www.wipo.int/edocs/pubdocs/en/wipo_pub_gii_2017.pdf (Accessed 24 Feb. 2019). 4. Weforum (2016—2017), "The Global Competitiveness Report" available at: https://www.weforum.org/reports/the-global-competitivenessreport open document (Accessed 28. Feb. 2019). 5. Derzhavna sluzhba statystyky Ukrainy (2017), "Naukova ta innovatsijna diial'nist' Ukrainy", available at: http://www.ukrstat.gov.ua/druk/publicat/kat_u/publnauka_u.htm opendocument (Accessed 19 Jan. 2019). 6. Hejtsia, V. M. (2015), "Innovatsijna Ukraina 2020: natsional'na dopovid", [Online], vol. 8, available at: http:// ief.org.ua/docs/nr/4pdf (Accessed 4 Jan. 2019).